New hero Brigitte Lindholm has arrived in Overwatch! 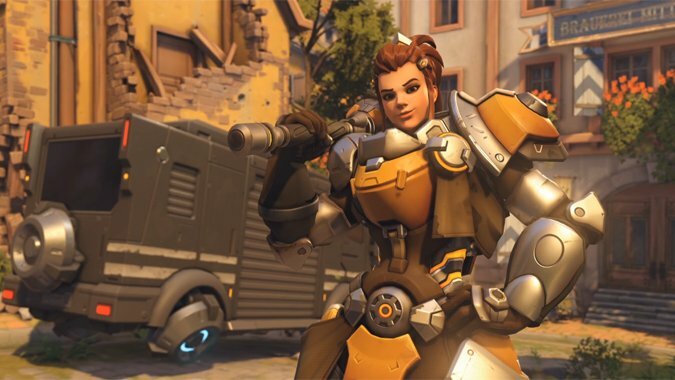 Brigitte is a unique hybrid of tank and support playstyles, able to hold her own in combat while beefing up her teammates’ armor and offering some healing. Blizzard also released a video introduction for the character — unwilling to let Reinhardt return to Overwatch alone, Brigitte has chosen instead to fight by her godfather’s side. She brings with her a pretty effective toolkit as well. Her Rocket Flail ability swings wide enough to hit multiple enemies at once, while her Whip Shot effectively knocks enemies back. And with every blow, Brigitte’s Inspire ability heals her allies over time. But hey, that’s not everything in the latest patch. Sombra has another couple of changes to her Hack ability as well, which were announced last week. When Hack is interrupted by damage, it now goes on a 2-second cooldown. In addition, the ability is more consistently interrupted when targets duck out of line of sight. Also on the list is a veritable mountain of bug fixes. Included in the lengthy set are multiple fixes that address issues with Doomfist’s Rocket Punch, Rising Uppercut, and Seismic Slam abilities. Doomfist has been getting some consistent work over the last few patches — let’s hope that this will finally address all the bugs and issues players have been having with the hero. Read on for the full list of hotfixes below, and hit the servers to experience Brigitte’s unique style of gameplay for yourself.